You’re looking to enhance your smile and looking for a cosmetic dentist, where do you start?, a cosmetic dentist could be one or a team of specialties working together to achieve a beautiful smile. Is there a cosmetic dentist specialty? Most patients are surprised to know that there’s no such specialty as a cosmetic dentist, there are various specialties that work alone or together when needed to achieve a cosmetic enhancement. Some dentists belong to the American Academy of Cosmetic Dentistry or other cosmetic focused societies, but cosmetic dentistry is not a specialty. When you’re looking to enhance your smile, your dentist will evaluate what you’re trying to achieve and outline a cosmetic dental treatment plan specific to your needs. In order to achieve a beautiful result, your dentist may need to rely on a team of dentists working together to achieve your ultimate goal. 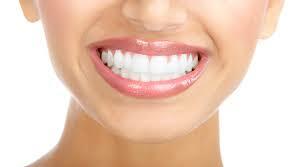 Finding a cosmetic dentist you can trust, begins by visiting your general dentist, which may be one of the same. Although there’s no specific certification for a “cosmetic dentist”, many dentists achieve excellent cosmetic enhancements because they are experienced and skilled. All dentists, even if they’re focused on cosmetic dentistry will treat your needs first, followed by your wants. 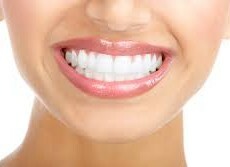 A cosmetic dentist will not simply place a veneer over a decade tooth. Dentists are bound by a code of ethics to care for your oral health, which affects your overall health. Aside from the treatments above, many other dental procedures can lead to a visually attractive and properly aligned smile. If you think you need a cosmetic dentist, schedule a consultation and discuss your goals with your provider. Only you and your dentist can outline the best course of action and set of treatments needed to achieve your perfect smile.